Thinking about Satan was a big part of my deconversion. Consider all the human perspectives of this being, everything from a hideous monster to a beautiful angel. All these images concerning a being that has never been seen! Yet, 57% of Americans assert that Satan is real. It’s all a part of the clergy casting their net of fear as a means of control. After all, why be afraid if there is no Satan or his band of demons? What would the preacher substitute for the imagery of a roaring lion, seeking whom he may devour? (notice in the Bible that “lion” is used as a metaphor for both Satan AND Jesus. Does that make any sense?) If a god exists without supernatural opposition, then its omnipotence is somewhat diminished. The whole idea that there has to be an Antagonist, a Yang to the Yin, in the great cosmic story makes it appear even more mythical. Why cast them to Earth? Why not Jupiter, where they can’t bother us? The part of the story about one-third of the angels siding with Satan (And his tail drew the third part of the stars of heaven, and did cast them to the earth) comes a few verses prior. Can Satan Physically Harm Me? At least then she would be able to sleep thinking that I’m in heaven. But what is this verse implying? That this Fallen Angel, Satan, can murder me? Particularly, if church elders gather and decide that it’s best for the eternal fate of my soul that my life ends as soon as possible so my spirit might be saved? What if one of them thinks he has received a message from God that he is to carry out this merciful act? This may seem extreme, but as Richard Dawkins has pointed out, the existence of moderate religion enables religious extremism. I certainly have been acquainted with at least one Christian who was capable of such an act. Did I really used to believe this? 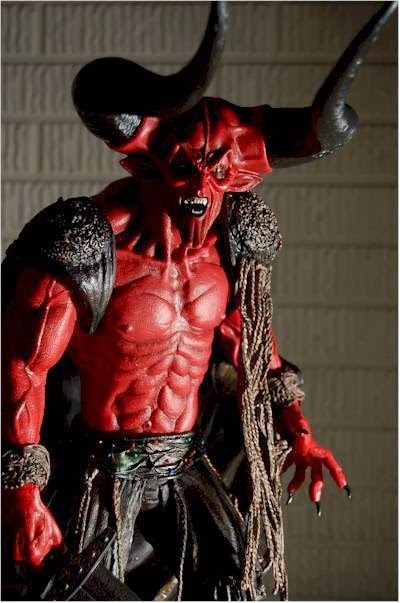 The pastor believes that Satan himself does not personally harass people, but assigns demon underlings to do his dirty work. The pastor believes that Satan can plant thoughts and recognize responses, but cannot read our minds. The pastor believes that people are under the spell of the Satan. As the husband of a psychologist (how’s that for a credential? ), I would assess that anyone who believes these three points are demonstrating psychotic behavior. Have they demonstrated a loss of contact with reality? Yes. Have they demonstrated delusions of persecution? Yes. When my wife was in her graduate studies, she would come home fuming that the students were being taught that there was a connection between religious belief and mental illness. At the time, my reaction as a Christian was arrogant – “Of course they teach that, they don’t have the Holy Spirit to reveal truth like we do.” Today, I’m convinced that religion cultivates mental illness. Many years ago while in the military, I saw a psychologist who diagnosed me as being borderline psychotic. This was due to an extreme religious belief and the fact that my actions demonstrated that I could not tell right from wrong (using religion to justify disobedience). This was something I was taught by my pastor. So I come to this conclusion not only by observation but by personal experience. Once one is convinced that the idea of Satan is mythical, there are other paramount implications. Since Jesus, as recorded in the Gospels, believed that Satan was real and could do many of the things listed above, his credibility as a god-man is crushed. Since Paul, as recorded in many epistles, believed that Satan was real and could do many of the things listed above, his credibility as a Holy Spirit-filled Apostle of the one true God is greatly diminished. 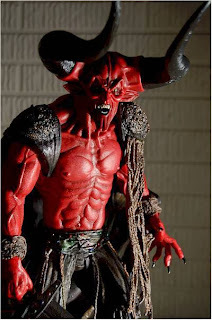 Since the Old and New Testaments contain these and many other assertions that Satan is real, it becomes not much more than a book of rants by crazy, ancient Middle-Eastern nomads. Since there was no real Satan in the form of a snake to tempt Eve with the fruit from the Tree of Knowledge of Good and Evil, then there was no first sin, and no need for redemption of the human race via the atoning blood sacrifice of the Lamb of God. And no need for… Christianity.